Browning: Type of hunting practised? 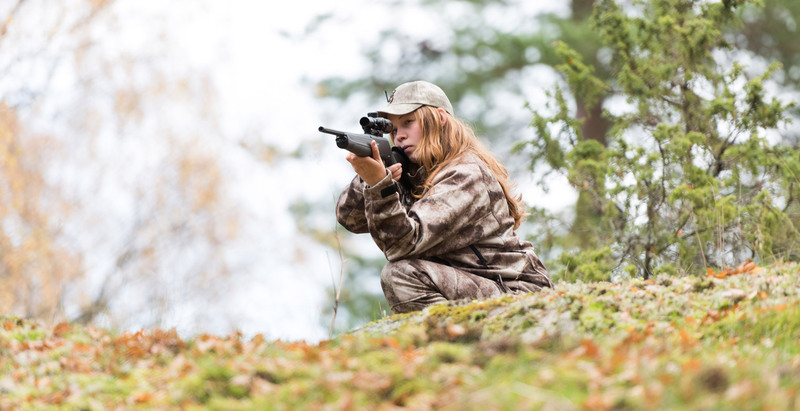 Alexandra hellström: Cloven-hoofed game, Predator hunting, Stalking/Stand hunting. A.H.: Kudu from Namibia and Red deer from Hungary. B.: When did you start hunting? A.H.: I’ve been hunting since I was a child. I was just four years old when I first started going on hunting trips with my dad. My very first hunt was the start of the roe buck reason in August. On that occasion, Dad felled a really fine buck in the evening. I took my hunter’s exam when I was 17, but I’d already been allowed to take an active part in hunts from the age of 15, provided that I did so under supervision. I got my first hunting rifle when I was 19, a 30.06 calibre Browning X-Bolt Composite. A.H.: I’ve always been very interested in animals and nature and eager to learn more. For me, it was exciting to learn about the whole business of field dressing and processing game animals, as well as game management and conservation. It was my father who first sparked my interest in hunting. He’s definitely one of the people I have travelled and hunted with most regularly over the years. Also, I grew up and still live on a farm with a game park, where I lend a hand with hunting and managing the game. I also guide other hunters on shoots. Because I feel it’s important to know about field dressing and processing game, I do the eviscerating, skinning and butchering in addition to preparing my own trophies. Today I have my own blog and Facebook and Instagram accounts (link below) where I share my experiences of hunting. 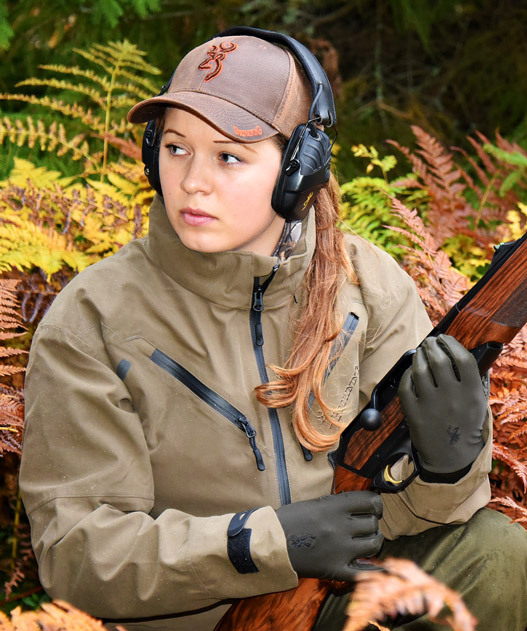 I have also written various articles that have been published in hunting magazines in Sweden and other Nordic countries. B.: Favourite place to hunt? A.H.: Africa! I’ve been to South Africa several times and I’ve also made one trip to Namibia. I never cease to be fascinated by the diversity of species there and all the experiences of nature and hunts that I’ve taken part in. The trip to Namibia was the coolest I’ve ever been on. I’ve been longing to return there ever since. I experienced such an amazing sensation of freedom, but it was also a very educational trip with stunning scenery and some truly exhilarating hunting adventures. B.: Your dream place for a hunt? A.H.: My favourite hunting destination is Africa. It can still offer many new hunting experiences that appeal to me. Buffalo hunting, for example. For the time being, however, that will have to remain one of my projects for the future. I’d also love to visit the USA or Canada or Alaska – places I’ve not yet been to. What attracts me there are white-tailed deer and black bear. Another thing I’d like to do is to stalk red deer/sika deer/fallow deer during the rutting season somewhere in Europe. Every hunting trip I make abroad always leaves me with an appetite for more. Here in Sweden, I hope one day to have the opportunity to shoot a mature bull moose that has been held at bay by an elkhound. I have been on hunting expeditions to the following countries: Spain, Scotland, Ireland, Hungary, South Africa, Namibia.